onald Trump says there were 3 million fraudulent voters in a “rigged” election he lost by more than 2 million popular votes. But he has no proof. The solution is obvious: He should fund a 50-state recount. He could pay for it with a tiny fraction of the windfall profits he may already have made by cashing in on his apparent title upgrade. Trump is angry that thousands of citizens have sent $5 million in small Bernie-style donations for Jill Stein’s recounts in Wisconsin, Michigan and Pennsylvania. Contributions are still pouring in at https://jillstein.nationbuilder.com/recount. The Donald is also mad that Hillary Clinton will send lawyers (but no funding) to observe those recounts. Many are still urging her to do more via www.solartopia.org. But the burden is on Trump. Of course he’s uncomfortable about losing the popular vote by such a large (and growing) margin. And this, of course, does not account for the thousands of black/Hispanic/Asian-American/Muslim and other citizens who were stripped from the voter rolls even though they were legally eligible. You’ve already made millions on the presumption that you will soon be president. But you’ve apparently lost the popular vote by a huge margin. And the city of New York is now paying millions to protect you and your family at Trump Tower. You clearly don’t want the downgrade to public housing in DC. Take a tiny fraction of those profits to fund the national recount. If those fraudulent “rigged” votes don’t really exist, and you really did lose the popular majority, just call it a day. Take your short-term profits, concede the presidency to the popular choice, and stay a private citizen at Trump Tower, saving New York taxpayers millions in security costs. That’s a win for Trump Inc., a win for popular democracy, and a win for New York taxpayers. How about it, Donald. Do we have a deal? Harvey Wasserman co-wrote THE STRIP & FLIP SELECTION OF 2016 (with Bob Fitrakis), soon to become THE STRIP & FLIP DISASTER OF AMERICA’S STOLEN ELECTIONS: FIVE JIM CROWS & ELECTRONIC ELECTION THEFT atwww.freepress.org and www.solartopia.org, where SOLARTOPIA! OUR GREEN-POWERED EARTH currently abides. He is Secretary of Energy in Jill Stein’s shadow cabinet. Will Hillary Cave on the Recounts While Jill Stein Saves the Day? Hillary Clinton’s victory in the 2016 presidential popular vote count keeps climbing. According to the New York Times it’s now well over 2 million votes. A swing of well under 200,000 votes in those three states could shift the Electoral College from Trump to Clinton. All three are fraught with irregularities. So are swing states Florida and North Carolina, which are also very close, but which thus far are being left without recounts. Clinton and the Democrats are being swamped by public requests that they demand recounts and pay for them. One of the many petitions appears at www.solartopia.org. So far there has been no response from Clinton or the party. But Stein and the Greens have come forward to pay for the recounts themselves. A torrent of small donations is pouring in, echoing those that supported the Bernie Sanders campaign. Stein estimates that with legal fees, the challenges could cost up to $7 million for the three states. The filing deadline for a recount in Wisconsin is today. The Green Party filing is underway there. There has been little or no public discussion of recounts in the US Senate races in Pennsylvania, Wisconsin and Missouri, where exit polls show Democrats winning Senate seats with razor-thin margins. A swing of those three seats would swing control of the US Senate for this coming term—-and possibly on the US Supreme Court for decades to come. Presidential margins are also extremely close in Florida and North Carolina, where exit polls showed Clinton winning. Stein was on the ballot in Florida, but not North Carolina. With some 2,000,000 votes still uncounted in California alone, Clinton’s public triumph over Donald Trump could reach 2.5 million votes or more. Such a margin would dwarf John Kennedy’s in 1960 (by a factor of more than fifteen), Richard Nixon’s in 1968 (by a factor of more than four) and Al Gore’s in 2000 (by a factor of five). Had this election been held in a foreign country, the State Department would not certify it. (Columbus Free Press). 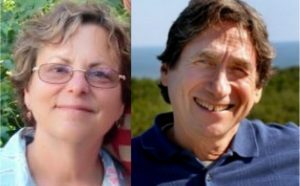 Computer expert J. Alex Halderman and election attorney John Bonifaz have joined many others in calling for recounts. In 2000, Gore won the national vote by more than 500,000 ballots. A full recount in Florida would have given him Florida’s Electoral votes and the presidency. But the Supreme Court’s 5-4 Bush v. Gore decision stopped the recount. In Ohio 2004, US Sen. Barbara Boxer (D-CA) and US Rep. Stephanie Tubbs-Jones (D-Cleveland, since deceased) challenged Ohio’s Electoral College delegation. More than 300,000 citizens were stripped from Ohio’s registration rolls and more 100,000 votes remain uncounted from an election officially decided by 118,775. Despite a federal court order, no legitimate recount has ever been held. Neither Gore nor Kerry has ever supported investigations the massive irregularities surrounding the 2000 and 2004 elections. Kerry had raised a $7,000,000 legal fund to protect the 2004 balloting, but never allocated any of it to an independent investigation. Kerry declined to fund a recount. This year the incumbent Republican Governor of North Carolina lost the popular vote in his re-election bid, but may use a loophole in state law so the Republican-controlled legislature can keep him in office. Few commentators doubt what Trump’s GOP would be doing now had they won the popular vote but were behind in the Electoral College, or in those key Senate races. As much as $100,000/hour has been pouring into the Greens’ fund for those recounts at a time when Clinton and the Democrats could pay for them in a matter of moments. But Stein and the Greens have vowed to do those recounts. At very least they’ll shine a light on how our elections are conducted. Whether the Democrats will help, and whether the results can change history, remains to be seen. Bob Fitrakis & Harvey Wasserman’s THE STRIP & FLIP SELECTION OF 2016: FIVE JIM CROWS & ELECTRONIC ELECTION THEFT is at www.freepress.org and www.solartopia.org, along with Bob’s FITRAKIS FILES and Harvey’s SOLARTOPIA! OUR GREEN-POWERED EARTH. WE ASK HILLARY CLINTON AND THE DEMOCRATIC PARTY TO FUND PRESIDENTIAL RECOUNTS IN FLORIDA, NORTH CAROLINA, PENNSYLVANIA, MICHIGAN, WISCONSIN, AND ALL OTHER APPROPRIATE STATES. WE ALSO ASK THE DEMOCRATIC PARTY TO FUND RECOUNTS IN US SENATE RACES IN PENNSYLVANIA, WISCONSIN AND MISSOURI, AND ALL OTHER APPROPRIATE ELECTORAL RACES. Hillary Clinton’s victory in the 2016 presidential popular vote count keeps climbing. With more than 2,000,000 votes still uncounted in California alone, her public triumph over Donald Trump may ultimately reach 2.5 million votes or more. There’s a widespread assumption that the Electoral College vote is a done deal. But a series of key swing state recounts could change control of the presidency, as well as the Senate and Supreme Court. So could a Congressional challenge to the key Electoral College delegations. Hillary Clinton and the Democratic Party must do justice to the public will. They must fund the recount effort, not only for the presidency, but also for at least three key senate races where exit polls indicated Democratic victories. Congressional Democrats in the current House and Senate also must challenge the certification of the key Electoral College delegations in disputed swing states that could decide control of the White House. Sign our petitions at solartopia.org and elsewhere to help make this happen. Despite the current reporting, exit polls showed Clinton the likely winner in the critical swing states of Florida, North Carolina, Pennsylvania and Wisconsin, with Michigan extremely close. Those states, if allocated to Clinton, would rightfully (and legally) change the outcome of this election. We also question the outcomes in three key Senate races—-Pennsylvania, Wisconsin and Missouri—-where exit polls showed Democrats winning. These three seats could determine control of the Senate and thus the nature of the Supreme Court for decades to come. The vote count in all those states and many more is extremely suspect. If this election were held in a foreign country, the State Department would not certify it. Thanks to the reporting of Greg Palast (gregpalast.com) and others, we know that millions of mostly black/Hispanic/Asian-American/Muslim citizens were stripped of their right to vote in those and 30 or more other states around the US. Thanks to the research of Bev Harris, Jon Simon and others, we know that the electronic vote count throughout the country is also highly suspect ( black box voting ). Computer expert J. Alex Halderman and election attorney John Bonifaz have joined many others in calling for recounts. The details of this election are still being uncovered. An evolving overview is currently available at www.solartopia.org. By no means have the final words been written on an outcome where millions of Americans were stripped from voter rolls while the vote count was flipped with “black box” electronic machines. Those who say otherwise should more than welcome a national recount, with special focus on the swing states that hold the deciding Electoral College votes. Until those swing states are recounted, the Electoral College delegations should not be allowed to cast votes for the presidency. The incumbent Republican Governor of North Carolina was declared the loser in his race for re-election, but is now challenging that defeat. He may also try to to use a loophole in North Carolina law to get the Republican-controlled legislature to give him the governor’s mansion again even if he’s found to be the official vote count loser. In 2000, a full recount of the Florida popular vote (which was stopped by the US Supreme Court before it could be finished) would have rightfully put Al Gore in the White House rather than George W. Bush. Gore won the national popular vote by more than 500,000 ballots, a fraction of Hillary Clinton’s current lead. He rightfully won the Electoral College vote, but was deprived of a full and timely recount. That must not be allowed to happen in 2016. In Ohio 2004, US Senator Barbara Boxer (D-CA) joined US Representative Stephanie Tubbs-Jones (D-Cleveland, since deceased) to challenge the Ohio delegation to the Electoral College. More than 100,000 votes are still uncounted from that election. In an election officially decided by 118,775 votes, more than 300,000 voters were stripped from Ohio’s registration rolls amidst serious questions about the electronic vote count, indicating Kerry rightfully won Ohio’s 2004 Electoral votes and thus the presidency. But despite a federal court order, no legitimate recount was ever held. Any US Senator in conjunction with a US Representative has the Constitutional right to challenge the seating of an Electoral College delegation. It is the obvious responsibility of the Democratic Party to now exercise this right to the fullest extent. We recall, of course, that GOP candidate Donald Trump reserved the right the inspect the outcome of this presidential election before he would accept it. 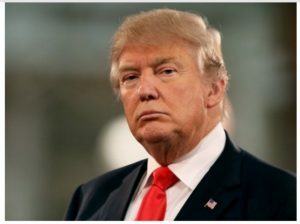 Ask yourself what Donald Trump would now be doing had he won the popular ballot by more than 2,000,000,000 votes while losing in the Electoral College. Would he meekly do nothing while Hillary Clinton walked into the White House? The Green Party is now raising money for recounts in the key swing states ( the Guardian ) . But Hillary Clinton and the Democratic Party have the readily available resources and the sacred duty to stand for those who voted for them. They need to fund these recounts. They need to challenge these Electoral College delegations in Congress. WE ASK HILLARY CLINTON AND THE DEMOCRATIC PARTY TO FUND PRESIDENTIAL RECOUNTS IN FLORIDA, NORTH CAROLINA, PENNSYLVANIA, MICHIGAN AND WISCONSIN, AND ALL OTHER APPROPRIATE STATES. WE ASK THE DEMOCRATIC PARTY TO FUND RECOUNTS IN US SENATE RACES IN PENNSYLVANIA, WISCONSIN AND MISSOURI, AND ALL OTHER APPROPRIATE ELECTORAL RACES. This petition can also be reached at www.solatopia.org. Harvey Wasserman co-wrote (with Bob Fitrakis) THE STRIP & FLIP SELECTION OF 2016: FIVE JIM CROWS & ELECTRONIC ELECTION THEFT (www.freepress.org / www.solartopia.org), along with SOLARTOPIA! OUR GREEN-POWERED EARTH and the upcoming AMERICA AT THE BRINK OF REBIRTH: THE ORGANIC SPIRAL OF US HISTORY, due out in 2017. PLEASE NOTE THERE IS A HIGH LIKELIHOOD OUR WEBSITES WILL BE CRASHED AS WE GATHER PETITIONS. PLEASE KEEP TRYING. GOP Flip & Strip Led to Trump Win? My guest today is Harvey Wasserman, author, teacher, environmental and election activist. He just co-wrote a piece with Bob Fitrakis, How the GOP Flipped & Stripped Yet Another American Election [11.20.16]. Joan Brunwasser: Welcome back to OpEdNews, Harvey. Is this just more post-election sour grapes? How would you like to get this started? Harvey Wasserman: Let’s just say we have another STRIP & FLIP DISASTER OF AMERICA’S STOLEN ELECTIONS, this one perhaps the worst ever. JB: I recall you wrote a piece back in February AFTER IOWA, CAN BERNIE WIN A “STRIP & FLIP” SELECTION?, albeit in a Democratic primary context. Is that relevant to our discussion today? HW: Our statistics indicate the nomination was stolen from Bernie and now the election has been stolen from Hillary. The 2000 and 2004 elections were stolen from Gore and from Kerry. So we had eight years of W. and now a nightmare coming up from Trump. It appears Hillary will win the popular vote by almost two million. An honest vote count would also have given her a landslide in the Electoral College. JB: Great question. Let’s get to some facts and figures, Harvey. Otherwise, this sounds like so much wishful thinking. What have you got to back up your brash statements? HW: We should have been doing this since 2000. Instead of forming a circular firing squad around Ralph Nader, there should’ve been an organized movement to deal with our election disease STARTING THEN. We all know the votes were flipped and stripped in Florida (and elsewhere). Then, the Supreme Court intervened to stop the recount. Then, the Electoral College nailed the coffin shut. And then they all ganged up on Ralph for daring to run. If everybody who voted for Ralph Nader in Florida 2000 had voted instead for Al Gore, George W. Bush still would’ve become president. So, first we apologize to Ralph. 1. Universal automatic voter registration, with transparent voter rolls. 2. Four-day national holiday for voting. 3. No photo ID for voting. 5. Universal hand-counted paper ballots. 6. End the Electoral College. 8. No corporate money in campaigns. Then we find out how to win. Our lives depend on it. JB: A comprehensive list, Harvey. What if any energy is being devoted to initiating audits or recounts in key states? How do we take advantage of that small window before the Electoral College votes on December 19th? HW: There are people working hard to raise money for recounts and I hope they succeed. I’m a bit skeptical because I’d prefer to see a big grassroots long-term movement dug in for the deep fight of establishing a democratic (small d) election procedure which includes universal automatic voter registration, no photo ID, transparent voter rolls, universal hand counted paper ballots, ban on corporate money in campaigns, end to gerrymandering, end to electoral college and more. This was yet another electronic Jim Crow election and we cannot allow it to happen again. Al Gore, John Kerry and now Hillary Clinton have allowed their elections to be stolen and have not say a word. Hillary could pay for all the recounts out of petty cash. Meanwhile, under Obama, the good people at the Dakota pipeline are being assaulted. Trump will probably use live ammunition. But we have to find a better way. 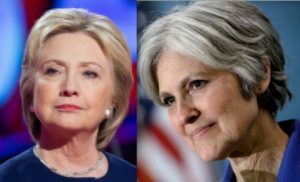 JB: If, as you say, Hillary could sponsor a recount out of petty cash, why is she silent? What’s your theory? This election marks a shocking and tragic end to democracy in the US as we’ve known it. Our nation has been on a death spiral since the murders of JFK, MLK and RFK, and the horrible miasma of the Vietnam War. We have never really recovered from Lyndon Johnson’s escalation of the war in Vietnam. This is the basic message of a history of the US I’ll soon publish entitled: AMERICA AT THE BRINK OF REBIRTH: THE ORGANIC SPIRAL OF US HISTORY. Our democratic process, which was far from perfect, has now deteriorated (like our nuclear plants) into something that can only be described as rigor mortis. A fascist party has stolen control of the government from a corporate one which has no interest in fighting for even those elections it has won but were stolen from it. Yet at the grassroots, we have a vibrant, savvy and committed core. We don’t know what is forthcoming for our civil rights and liberties. The internet will be attacked, as will free speech. Our survival on this planet is about to be assaulted as never before. In other words: We are all about to be tested. As never before. JB: Sheesh. Not a very uplifting or hopeful message. Do you have anything you’d like to add before we wrap this up? HW: I’m a born optimist. one has to be to be an activist. I believe in the survival instincts of our species, and our core beliefs in social justice and civic responsibility. I also believe we understand what we have to do to have our families’ survival. This must be a fit world for our children, and it’s our responsibility to make it so. So, I believe we will get through this. It’ll stretch every muscle in our psychic bodies, but we’ll get there, whatever it takes within a non-violent framework. And, somehow, we’ll have fun doing it. I haven’t quite figured that part out yet. but i’ll let you know when I do. And we’ll see you in solartopia. JB: Thanks so much for talking with me again, Harvey. Looking forward to seeing your new book when it comes out. Good luck with it! Pokey Anderson put together a good synopsis of post-election articles about voting irregularities. Thank you, Pokey. Check it out here. Publicize this petition demanding a post-election audit of the paper ballots in seven key states (Florida, Iowa, North Carolina, Ohio, Pennsylvania, Wisconsin and Michigan). Donate funds to facilitate audit here. 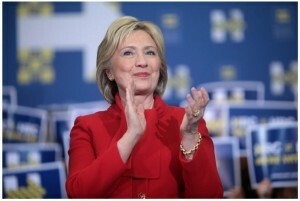 illary Clinton has won the popular vote in the 2016 presidential election by well over a million votes. But her impending defeat in the Electoral College comes with familiar signs that yet another American election has been stripped and flipped. This article presents a comprehensive overview of how it was done, and a brief summary of how our electoral system needs to be changed to make sure it doesn’t happen again. The primary indicators of the massive election theft are by now familiar. They include the realities of pre- and post-election polling; the massive stripping of primarily black, Hispanic, Muslim and Asian-American voters from computer-generated registration rolls mostly maintained by private, partisan companies; unverifiable “black box” electronic voting machines and central tabulators, also mostly manufactured and maintained by private corporations; and much more. Were this election held in any other country, the US State Department and independent monitors from around the world would denounce it as a fraud and contemplate international intervention. Much is finally being said about the Electoral College, with new popular demands for its abolition. Clinton is about to become the sixth presidential candidate to win a legitimate majority but lose the presidency. It also happened in 1800, 1824, 1876, 1888, and 2000. Nearly 15% of our 45 presidents have been “selected” with the denial of the public will through an institution established in large part to enhance the power of slaveowners. It will take a Constitutional Amendment, and a hell of a lot of work, to abolish this corrupt anachronism. But unless we want to see an endless succession of George W. Bushes in the White House, something had better be done – and quick. US elections have been defined throughout history by a divide-and-conquer strategy of racial manipulation. As we outline in our new Strip & Flip Death of American Democracy(freepress.org/solartopia.org): chattel slavery, the Constitution’s “three-fifths bonus,” Jim Crow segregation, third world imperial conquest, and the Drug War have all played a role in denying African-American/Hispanic/Asian-American citizens their right to vote. From the foundation of the Republic, this disenfranchisement has defined the balance of power. In recent years, the disenfranchisement has been most importantly done by the Republican Party, and by computer. As investigative reporter Greg Palast has shown in his book/movie The Best Democracy Money Can Buy (www.gregpalast.com), in 2000 Florida governor Jeb Bush used a program called ChoicePoint to strip more than 90,000 predominantly black and Hispanic citizens from the voter registration rolls in an election decided by 537 votes. The pretext was alleged felony convictions. The selection was “won” by Bush’s brother George W., although a full recount (which was stopped 5-4 by the US Supreme Court in its infamous Bush v. Gore decision) would have given Al Gore the majority in Florida, and in the Electoral College. As we have reported from Columbus, in 2004 more than 300,000 predominantly urban citizens were stripped from the voter registration rolls in an election the GOP won by 118,775. A quarter of all voters in heavily Democratic Cleveland were de-registered. Ohio’s ill-gotten electoral votes gave George W. Bush a second term. This became the only time in US history an entire state’s Electoral College delegation was challenged on the floor of the US Congress. This year, Palast has reported that a new program called Crosscheck has been used by some 30 GOP secretaries of state to strip more than 1.1 million predominantly black, Hispanic, Islamic, and Asian-American citizens from the voter rolls. Palast has reported that Ohio’s GOP secretary of state Jon Husted also used Crosscheck to eliminate some 497,000 mostly black, Latino, and African-American citizens from the voter rolls in Ohio, falsely accusing them of registering in more than one state. Such eliminations went on throughout the US. According to Reuters, over the past five years Husted himself has stripped some two million citizens from the voter rolls in Ohio, even without Crosscheck, with Democratic areas twice as likely to be stripped as Republican ones. Reuters writers Andy Sullivan and Grant Smith point out that the neighborhoods that most heavily backed President Obama lost the most voters. In heavily Democratic Cleveland, Columbus, and Cincinnati, they report, Democrat-leaning areas were purged at twice the rate as Republican ones. The mass disenfranchisement also impacted races for the US Senate. If not for the usual “irregularities,” at least four Democrats would likely have won seats (in Florida, Pennsylvania, Wisconsin, and Missouri) that they officially lost. Similar results are evident from 2014 Senate races in North Carolina, Colorado and Alaska. Thus in the past two years, mass disenfranchisement and computerized vote stripping may well have flipped seven Upper House seats from the Democrats to the GOP. Thus the electronic race-based stripping of voter rolls in the GOP’s favor has probably on its own taken to the far right the presidency, control of the US Senate, and ultimately the US Supreme Court. Alongside computerized techniques, the Republicans have effectively deployed still more traditional Jim Crow tactics to strip black/Hispanic/Asian-American/Muslim citizens of their ability to vote, many of which have been delineated in the New York Times. In part these include: demands for photo ID, elimination of polling places, narrowing time frames in which citizens can vote, deliberate distribution of misinformation about voting requirements, non-counting of provisional ballots, failure to send out absentee ballots, intimidation and widespread confusion at polling places, and much more. Throughout the corporate media, the obligatory hand-wringing about a drop in voter turnout invariably avoids the obvious cause of race-based restrictions that make it harder to vote, selective limitations on when citizens can vote, and targeted reductions in where they can vote. In its 2013 Shelby County vs. Holder decision, the US Supreme Court gutted protections provided by the 1965 Voting Rights Act, opening the floodgates for such Jim Crow abuse throughout the electoral system. Numerous reports indicate that citizens were often confronted with photo ID requirements even where they were voided by the courts. As in Ohio 2004, reports indicate many citizens were directed by official websites to polling places that did not actually exist. This year Ohio secretary of state Jon Husted failed to distribute more than 1,050,000 absentee ballot applications to citizens entitled to them.Husted also waged a relentless war against early voting periods, such as “souls to the polls” Sundays, that encouraged African-Americans to vote. He also worked hard to strip out polling stations from urban areas. In Wisconsin, which Trump allegedly carried by about 27,000 votes, some 300,000 registered voters lacked required photo ID. According to Ari Berman’s “Did the Republicans Rig the Election?” appearing in The Nation, Wisconsin’s turnout was the lowest in two decades. That includes a drop of 52,000 in heavily African-American Milwaukee, nearly twice Trump’s margin of victory in the entire state. On election day, media throughout the US reported the kinds of mass delays and confusion that defined the elections of 2000 and 2004. According to Berman, there were 868 fewer polling stations in Arizona, Texas, and North Carolina alone, accompanied by a notable drop in African-American turnouts. According to Berman, 14 states imposed new restrictions on voting. Three of them – Wisconsin, Indiana and Ohio – were never before under federal Voting Rights Act supervision. the state’s voter registration database and e-poll books tied into it were down, prompting long lines, delays and necessitating people fill out provisional ballots. The data was also scrambled, with voter rolls in the wrong locations, people tagged as voting when they had not, and people not on lists even though they had their state registration cards. Throughout the US, voters with “problems” in their registration are routinely given provisional ballots, which are allegedly to be counted later. But the forms are often impossibly complex, with poll workers often failing to count them at the sight of a single minor error, such as writing below a line, omitting a middle initial, failing to include a birthday and much more. Ohio secretary of state Husted won the right from the US Sixth Circuit Court of Appeals to not count provisional ballots that contain a minor mistake. Thus tens of thousands of provisional ballots have been routinely left uncounted, unbeknownst to the voters. More than 115,000 provisional and “spoiled” ballots from Ohio’s 2004 election remain uncounted. Often absurd discrepancies have become normalized. In 2004 hundreds of mostly Democratic Native Americans allegedly cast ballots on their New Mexico reservations without signifying a choice for president. This year in North Carolina, Trump and the GOP’s US Senate candidate allegedly won by nearly 200,000 votes while the incumbent Republican governor was allegedly defeated (he’s demanding a recount). In Michigan, tens of thousands of voters allegedly filled out their entire ballots but somehow left the presidential choice vacant in a race essentially too close to call. In the lead-up to November 8, pre-election polls strongly indicated a Clinton victory. Post-election exit polls showed her winning as well, most critically in the swing states whose Electoral College votes could have given her the presidency. Exit polls are the accepted international standard for indications of election fraud and vote tampering. Eric Bjornlund and Glenn Cowan’s 2011 pamphlet “Vote Count Verification: a User’s Guide for Funders, Implementers and Stakeholders” was done under the auspices of Democracy International for the US Agency for International Development (USAID). It outlines how exit polling is used to ensure free and fair elections. For example, Ohio’s exit polls showed Trump and Clinton in a dead heat – 47 percent for Clinton to 47.1 for Trump. Officially, Trump won with 52.1 percent of the vote to Clinton’s 43.5 percent. This unexplained and unexpected 8.5 percent shift for Trump is mathematically impossible. The exit polls also showed Clinton winning in Florida.But an unaccounted for 2.5 percent shift to Trump gave him a victory that was a virtual statistical impossibility. Similar numbers abide in Pennsylvania and North Carolina. In 2014, Senate races in North Carolina, Colorado, and Alaska ended with exit polls also showing Democratic Senate candidates winning the popular vote, while ultimately losing the official vote count. The odds against this happening in two consecutive elections that are not rigged are also astronomical. The tendency of such official outcomes to slide to the GOP after showing “blue” for Democrats in the exit polls is more fully documented by Jon Simon in his definitive book CODE RED. Simon coined the phrase “Red Shift” and discusses what has once again become a dominant factor in a presidential election claimed by the Republicans at OpEdNews. In Florida’s 2000 presidential election, 16,000 votes cast for Gore in Volusia County were electronically subtracted and 4,000 were credited to Bush, giving him a leg up on the evening’s vote count. This caused Fox News commentator John Ellis (Bush’s first cousin) to call the election for the GOP. In Ohio 2004, John Kerry was shown winning the election by 4.2%, more than 200,000 votes, at12:20 a.m. Then the electronic vote count ceased. At2 a.m.,a Bush lead began to emerge, somehow reaching 2.5%. The 6.7% flip is a virtual statistical impossibility. Computer “Black Box Voting” specialist Bev Harris, who uncovered the electronic vote flipping in Florida 2000, has warned this year that a method of “fractionated voting” could have been easily used to manipulate electronic vote counts. The manipulation could be done by secretaries of state in conjunction with partisan for-profit corporations in ways that are virtually impossible to detect, and simply not open to legal challenge. According to Harris, this “fraction magic,” used in counties’ central tabulators, could have flipped hundreds of thousands of votes. In Ohio this year, a new generation of electronic vote scanning machines makes it possible to retrieve electronic images of ballots that have been cast on paper in the order that they were cast. These machines come with an audit log that would detect any illegitimate vote changes by central tabulators. Throughout the US, including the swing states that will decide the presidential outcome in the Electoral College and states that have increased the GOP margin in the US Senate, the entire vote count remains an electronic mystery. VR Systems, based in Tallahassee, handles registration records in Florida and more than a dozen other states. It was hacked prior to the election, possibly by Russians. Indeed, much finger-pointing against alleged Russian electronic intruders still goes on. But there are more than enough open portals into our electronic voting system to let domestic hackers easily flip an election. Sources cited by Rosenfeld say Clinton won only those Wisconsin counties with paper ballots, while losing those with a mix of paper and machine voting by 1-2%, and those with only machines only by 10-15%. Those results echo outcomes in New Mexico 2004, where Kerry won all precincts with hand-counted paper ballots and lost all those with machines, a reality he personally noted in a post-election conference call. Millions of dollars would be required to do meaningful recounts in states like Wisconsin, which may well have legitimately gone for Clinton and chosen a Democratic US Senator. Michigan’s 4,800 precincts could cost up to $125 each to recount. The impact of such recounts, even if they show Clinton winning, would then be up for grabs. That popular vote victory will be reversed in an Electoral College originally designed to enhance the power of slaveowners and now being used for the sixth time to deny the White House to the rightful winner. 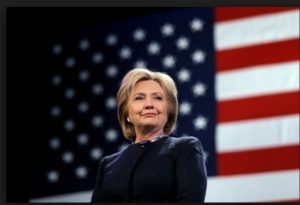 There is no doubt additional Jim Crow tactics meant to further disenfranchise black/Hispanic/Asian-American voters – such as stripping away voting times and precincts, denial of absentee ballots, non-counting of provisional ballots, and much more – stripped Clinton of hundreds of thousands of additional legitimate votes. 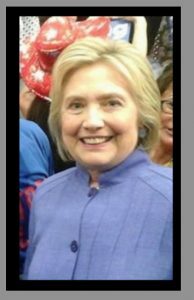 There is no doubt exit polls showed her winning in more than enough states to have given her a victory in the Electoral College. They also indicated a seven-seat swing in the US Senate in 2014 and 2016, more than enough to give the GOP control of the US Supreme Court. There is no doubt that the election was largely conducted on electronic machines, and with electronically-counted Scantron ballots that are completely beyond public accountability. These voting machines are run on secret, proprietary corporate software to which the public is not allowed access. As in 2000 and 2004, the actual final vote count once again resides in black box machines controlled by private corporations, GOP governors, and secretaries of state, whose ability to easily hack and flip the official outcome cannot be monitored or brought to accountability. In at least one state (Ohio) the GOP took legal action to prevent the public from gaining potential access to the electronic vote count … and won! Throughout the campaign, GOP candidate Trump cleverly complained of a “rigged election.” He continually warned of innumerable non-whites and Muslims voting multiple times for Hillary Clinton. But the underlying nightmare is that this has been done before, that we’ve known about stripped and flipped elections for at least sixteen years, and that nothing has been done. There’s much more. But until we win those basics, democracy in America is an illusion … as is our chance to survive on this planet. Bob Fitrakis & Harvey Wasserman are co-authors of the upcoming The Strip & Flip Disaster of America’s Stolen Elections: Five Jim Crows & Electronic Election Theft. at www.freepress.org and www.solartopia.org, where Bob’s Fitrakis Files and Harvey’s Solartopia! Our Green-powered Earth are also available. Critical charts from Ron Baiman are also available athttp://columbusfreepress.com/article/did-gop-strip-flip-2016-selection. Special thanks to Lori Grace and Mimi Kennedy. The Chicago Cubs have won the World Series. They beat the team of Chief Wahoo and it’s long past time for him to depart. With a rare comeback victory from being down three games to one, the Cubbies have ended the longest World Series drought in baseball history, beating the Cleveland Indians, the team with the second-longest drought. Not since 1908 have the Windy City north siders done this. Congratulations especially to team president Theo Epstein, who put together the team that in 2004 ended the curse of the Red Sox, who had not won a World Series title since 1918. Now he’s done it again in Chicago. How my native Boston let the best baseball operations guy and the best manager (Terry Francona) leave town at the same time is beyond me. But the real loser this year is Chief Wahoo, and it’s time to bury him forever. The Cleveland Indians have been soiled for decades with the most cringeworthy logo in all of sports. It is an obscene cartoon that is beyond degrading. I will not describe it in detail. Cover up the feather and it could be an insult to every racial or ethnic group on the planet. The team name “Indians” is also in contention. It’s a complicated discussion. If Cleveland really wants to “honor” Native Americans, as team ownership says, why not choose a local tribe, like the Shawnee or Erie or Wyandot, and pay them a royalty? At least Cleveland’s team is not the R*****ns, that pathetic football team in Washington, D.C. How any public franchise could bear such a vile, racist name is beyond tolerance, especially in the nation’s capital. Dan Snyder, the grotesque, embarrassing owner of the R*****ns, has reconfirmed his inexcusable, pig-headed commitment to keeping the name. He should follow the sterling example of the owner (Abe Saperstein, now deceased) of Washington’s professional basketball team, whose name he changed from the Bullets in reaction to gun violence. They’re now the Wizards, a terrific choice. Snyder could open the name change up to the public, hold a contest, a national discussion, and a local vote, and make a ton of money while doing it. All those new jerseys and good feelings and general exposure would be priceless. Instead he clings to a racist “tradition” and confirms his ultimate loser status by putting truly lousy teams on the field, year after year. In fact, Snyder is now the ultimate argument for public ownership of all major sports franchises, which is long overdue. I am part-owner (two shares) of the Green Bay Packers, America’s Real Team because it is owned by members of the public. Our nation needs to end the shame of our beloved major league sports clubs being owned by billionaires who shuffle them around like portable slave plantations. They manipulate public funding for stadiums designed to serve the corporate elite. They treat the players like chattel. They ignore and abuse the public investment while expecting massive subsidies and royal treatment. Every community in which a major sports team operates should own and run that franchise. 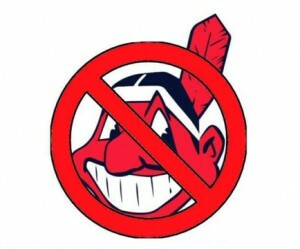 And Cleveland can join the civilized world by forcing the Indians to change their name and bury that awful logo. It was painful seeing it on the sleeves and helmets throughout this gorgeous World Series. The logo’s presence was a terrible blot on an otherwise wonderful sporting event. It should not be allowed to happen again. Cleveland needs to take a leap of good faith, bury Chief Wahoo, and get a new name.